Whether you are a recreation drinker or have admitted that you have a more serious problem, a prolonged use of drugs and alcohol can cause toxins to build up in the body. This build-up will be bad for your health as the toxins such as ethanol from alcohol are known to harm the body tissue, organs and other systems. This can result in a range of different health problems and diseases. Fortunately, there is some good news which is that the body is able to heal itself if you provide the correct treatment. The best treatment for your body is to detox which is essentially giving your body an internal makeover. When you detox, you will clean out the toxins which are harmful to your health. To detox, you will have to have a proper diet, complete exercise and add other healthy habits to your lifestyle while bringing your drug and alcohol use to an end. When you do this, you will remove the impurities in the blood that causes problems and give your body the chance to heal. Of course, depending on the level of your addiction, you will need to consult with a doctor before you try detoxing on your own. If you have a severe addiction, you need to have medical help from a dual diagnosis rehab center. Within a process you will need professional support as you will experience vomiting, nausea, sweats, headaches and other unpleasant symptoms. It is important to note that these are expected as your body tries to get rid of the unhealthy toxins. Of course, if the symptoms worsen, you need to get medical attention as something could be wrong. The obvious start to detoxing is to stop taking drugs and drinking. In order to completely rid your body of the toxins associated with this, you need to stop the habit. This provides the body with the opportunity to expel the toxins which have accumulated without worrying the new toxins entering the body. The sooner you are able to quit, the faster you will be able to detox. 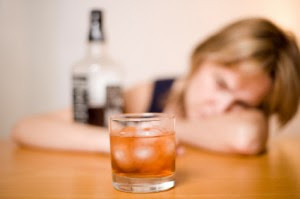 Alcohol and drugs are known to dehydrate the body and this can cause a range of unpleasant side effects including fatigue, headaches and muscle pain. You can eliminate these issues by drinking a lot of water. Water will also help your body detox as it is used to flush out the system and bring balance to the body. The more water you are drinking, the more toxins are being flushed out. The minimum amount of water you should drink per day is 64 oz, but when detoxing you should increase this to 80 oz or 100 oz. The most common way for toxins to enter the body is by being ingested. This is why it makes sense to replace unhealthy foods with healthy ones. The best way to do this is to completely change your diet. The first step in this change would be to cut back on bad fats and sugars which hinder the healing process. You should also avoid any refined or processed foods as they generally are unnatural and will not provide much in terms of nutrients. They are also harder for the body to digest. This means that you have to limit food which comes in jars, cans and boxes. One of the best ways to give your body a nutrient jump-start is by juicing. This is when you drink natural juiced fruits and vegetables as they will provide you with all the minerals and nutrients that your body needs to be healthy. It is possible to drink 5 times the amount of fruits and vegetables compared to eating because your body is filled up with juice and not the meat of the plant. This is important because you are able to get more of the nutrients you need as you are able to consume larger amounts. If you do not have your own juicer or cannot afford to get one, you need to make sure that you are eating a diet which is high in fruits and vegetables. You should also take a multivitamin to ensure that you are getting every nutrient that your body needs. When you are eating a lot of fruits and vegetables, you need to ensure that they are organically produced as they will be grown without any harmful chemical fertilizers and pesticides. These can be as harmful to your body as not getting enough nutrients. If you want to leech the impurities in your intestines and dispose of them you need to eat chia seeds, parsley, cilantro and lemon. If you need more fiber and antioxidants to boost the immune system you should eat green leafy vegetables such as romaine, kale, seaweed and wheatgrass. Another source of antioxidants which help your body fight disease is berries including blueberries, strawberries and raspberries. To get the Omega-3 fatty acids that you need which will help limit your cravings and depression, you need to eat wild caught fish, almonds and avocado. Here are some good foods for detox. While you are putting good foods into your body, you need to also focus on getting the bed out. While it is possible to eliminate toxins through waste, you should also look at exercise which is one of the best ways of getting rid of bad toxins. Exercise will increase your heart rate and cause the body to sweat which allows you to get rid of the bad toxins which have built up in your body. You can do this through hot yoga, running, cycling or other exercise. Not only will the exercise help you detox, it will also increase your endorphin levels which makes your mood better. There are other habits which will help you detox such as lowering your stress levels. We live in a fast-paced world where it can be hard to remember to take time for yourself, but you need to ensure that you do this. Too much stress can be detrimental to your health and will decrease the effectiveness of detoxification. You should also stay away from cigarettes and coffee while detoxing. These items also have harmful toxins and they can trigger addiction. This could cause you to relapse and this is something that you will want to avoid. You should also look at getting a massage which is a great stress-reliever. Massages can also help to release the toxins in your body. When you detox, you also need to get more sleep. Most people are actually sleep-deprived without realizing it and this will impact your health. It is important that you get 8 to 9 hours of undisturbed sleep each night to ensure that your body is healthy. It is also recommended that you get your friends and family involved in your detox. This will provide you with the support that you need to overcome your addiction and help you stay on track.